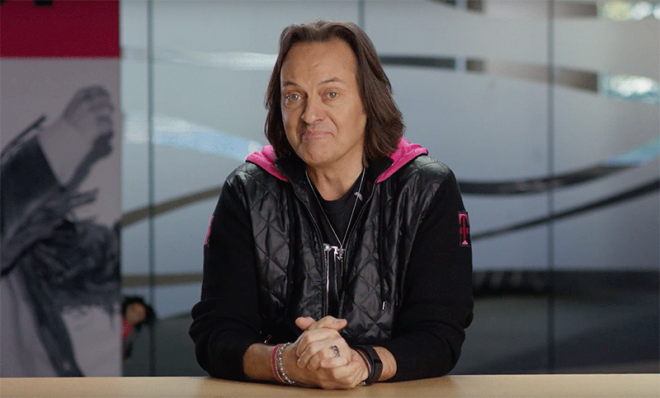 According to a new survey, T-Mobile could see major gains in acquiring millennial customers. Research firm Macquarie Capital says that it expects T-Mobile to “gain the bulk of industry net adds in ’18+”. The firm adds that it found price and value to be most important among consumers of all ages, which it believes is a benefit of T-Mobile. In Macquarie Capital’s survey, 46 percent of customers used Verizon while 22 percent use T-Mobile, 19 percent use AT&T, and 13 percent use Sprint. That gives T-Mo a lot of customers to gain. Also of note is that 65 percent of respondents pay for their own phone bill. This is good news for T-Mobile, says Macquarie Capital, because T-Mobile offers features like taxes and fees included, T-Mobile Tuesdays, and Netflix On Us. This means that T-Mo customers will know exactly what the price on their mobile bill will be and that features like T-Mobile Tuesdays and Netflix On Us will help them feel like they’re getting their money’s worth. Macquarie Capital’s survey asked 10 questions of 100 respondents. In recent years, T-Mobile has made a habit of using more stylish marketing techniques and launching new offers that’ll appeal to a younger customer base. With 65 percent of respondents in Macquarie Capital’s survey paying their own phone bills, it makes sense that T-Mobile’s offers of taxes and fees included and free Netflix would tempt them, and T-Mobile’s network expansion efforts probably help, too. Now we’ll just have to wait and see if Macquarie Capital’s prediction becomes reality. Most millennial single people/single lines just go the prepaid route because it’s cheaper for just 1 line. Tmobile is $70, Metro is $50. tmo has plenty of accounts much, much larger than that. That first statement is totally false. The younger generation cares about value and unlimited, open access which is why T-Mobile does so well with them. As a millennial, T-Mobile has always been ‘cooler’ in our demo than in others. Even before Legere and Uncarrier. Now its like doubly so. This is, and I agree with the article on this, the reason why there is unlimited growth potential for tmo as long as they keep on the same message and branding. The price structure, the simplification, and the addables like netflix work perfectly for our generation. They can keep harvesting amazing postpaid growth like they have just by the path they are on. Its a ready market, its fast becoming the prime market with the aging out of the boomers, and it is relatively easy for tmo to capitalize on that because theyve done most of the legwork already. They now seem to be doubling down on a social consciousness image as well, which can only help. Add T-Mobile TV and they’ll probably keep me for life. I’m ready to ditch my current provider. I am very excited about the TV options coming this year. I just hope they dont have too much issue with the local TV conglomerates. I saw their blimp today. 100 people surveyed? Way too small of a sample size to make that kind of prediction.